Do you find yourself wondering what vitamins to take? Many people wander the aisles at Whole Foods, bewildered by thousands of pretty bottles. They either get overwhelmed and give up altogether, or perhaps even worse, make an impulsive decision based on what the stock person tells them to buy. We all hear lots of conflicting information from the media and we get advice from friends and family: “I swear by taking shark cartilage… ” Overwhelmed and confused, many people throw their hands up and give up on vitamins altogether. Conversely, as a physician of internal medicine I have patients come in with bags full of various bottles of things they are taking. Many are useless and a waste of money while some are downright dangerous. What to do? The answer is, in fact, that we should not all do the same thing. We are all different. We have different diets, lifestyle habits and health needs. We should not all be taking the same thing and there is not a one-size-fits-all vitamin regimen. Feeling more confused? You do not need to be. If you can find the right multivitamin, you can throw out the other bottles and simplify your routine. 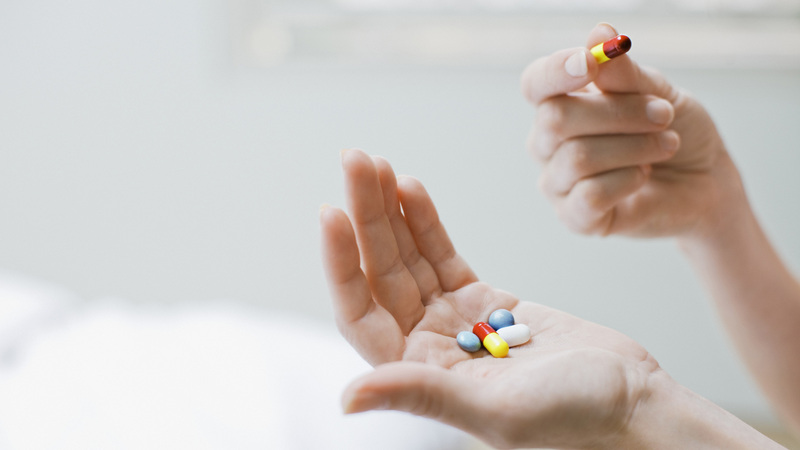 But, should you take a multivitamin? The role of standard multivitamins has been called into question lately. And it very well should be. Recent studies have questioned multivitamins’ usefulness and suggested their potential for harm. To those of us in the medical field this is not surprising. Every medicine a doctor recommends (including things found over the counter such as vitamins and supplements) has potential side effects, so why should multivitamin supplements be any different? In fact they are no different. Many of the multivitamin supplements on the market today are far exceeding recommended doses of certain nutrients. Research has shown that these excessive vitamin doses can be harmful. For example, too much vitamin A may lead to higher rates of cancer. Likewise, the U.S. Preventative Task Force has not recommended the regular use of some vitamin supplements at all, stating insufficient data exists to justify their use. On the flip side, I know from years of seeing women in medical practice that most of us are vitamin D deficient and many of us lack enough iron. We don’t eat meat the way we used to, and we wear sunscreen and avoid the sun (for good, health reasons like skin cancer prevention). We may note symptoms of nutritional deficiencies like hair loss (see our blog on this topic) or fatigue. Or we may feel OK but be unaware of harm to our bodies, such as loss in our bone density that may one day lead to osteoporosis. Taking the right multivitamin does have benefits. First, it can fill in certain key nutritional gaps. Let’s face it, none of us eat a perfect diet. Even those of us who try are often lacking certain key nutrients because produce today is lower in vitamins than it once was due to soil demineralization. Taking a multivitamin has also been shown to decrease rates of heart disease in women. This is not a small thing, since heart disease remains the number one killer in women. Additionally, many people report a better sense of energy and well being when they get the proper nutrients that a vitamin can provide. This in turn helps them maintain a better exercise routine and have the energy and motivation to eat a more healthful diet. What vitamins to take is a complicated subject to say the least. However, my experience has taught me that we are not all alike. We each have different genes and different lifestyles that interact to give us unique nutritional needs. What is important is to figure out what you need at a given time in your life. A personalized multivitamin can be the answer to this tricky problem.